Today I ate fresh green coconut, courtesy of Sherrie. Sherrie is a spritely Hawaiian woman who strikes me as a combination of Peter Pan, Tinker Bell and Pocahontas. She dashes about, gracefully tending her gardens and hacking open coconuts as she feeds and instructs her guests. Sherrie snapped off a sugar cane, with her bare hands, deftly slicing it horizontally so that it would feed through the juicer-wringer along with ginger and lemon. The result: a refreshing and, I was surprised to learn, nutritious drink. We tasted Surinam cherries, coffee beans (ate the fruit, spit out the bean), mini strawberry guava, starfruit and two kinds of passionfruit picked ripe off trees. We picked fresh Kaffir lime and curry leaves and added them to our Kambocha squash soup, which was steamed and blended, skin and all, with raw cashews, sea salt and hot pepper. We learned, too, about the healing powers of banana trees. When the huge, singular flower below the banana bunch is dead and withered the flower is ready to be dispatched by machete. The juices that are then dripping, from the freshly cut flower stem, have potent healing powers. So if you’re wounded, plop down under the nearest banana tree and wait patiently until its flower decays. Don’t forget your machete. 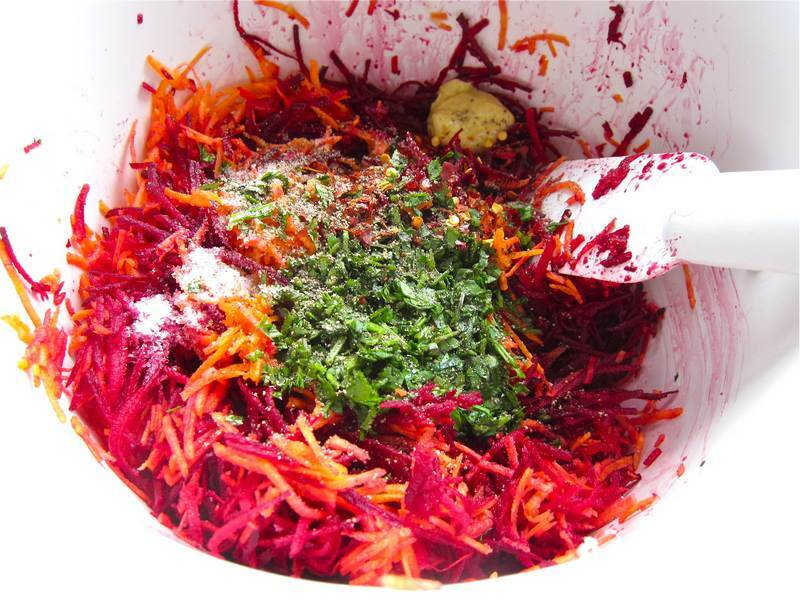 In honor of my visit to Sherrie’s garden, here is a raw and delicious Beet Salad recipe. When you’ve been to The Garden of Eden, you are ready to experience bliss through veggies. Combine all ingredients, mixing well. Allow to stand for 30 minutes for the flavours to meld, then adjust seasoning as required. This recipe was inspired by Chocolate and Zucchini. On top of everything else I munched on fresh turmeric today, which temporarily stained my teeth orange and somewhat anesthetized my mouth. It tasted like a turmeric flavoured carrot. 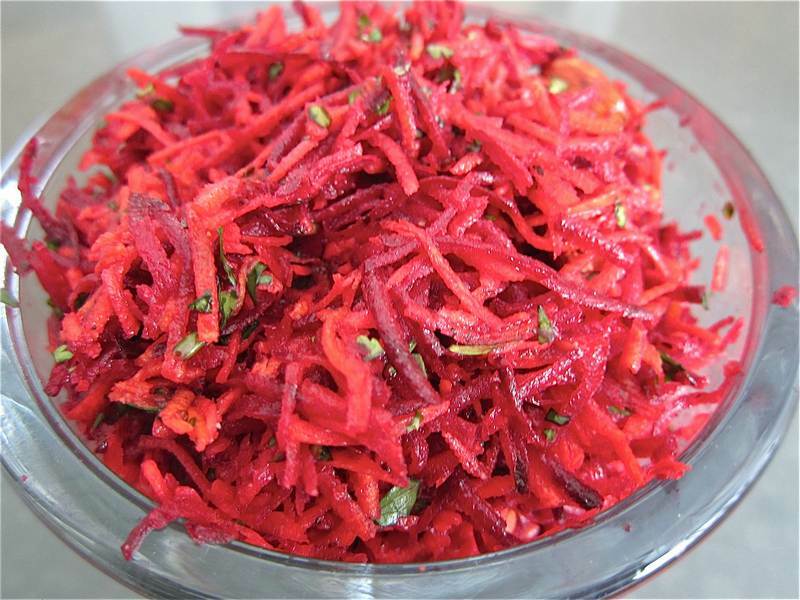 Thank you to Sara Laimon for bringing a delicious Cafe Juicy Lotus beet and carrot slaw to our bookclub pot luck. It’s wonderful to try new combinations, falling in food love over and over again. Thank you to Andrew for spectacular botanical photos. Thank you to my brother Eric, who introduced us to his girlfriend Sherrie, her incredible personal garden and her home away from home, the Maui Garden of Eden. 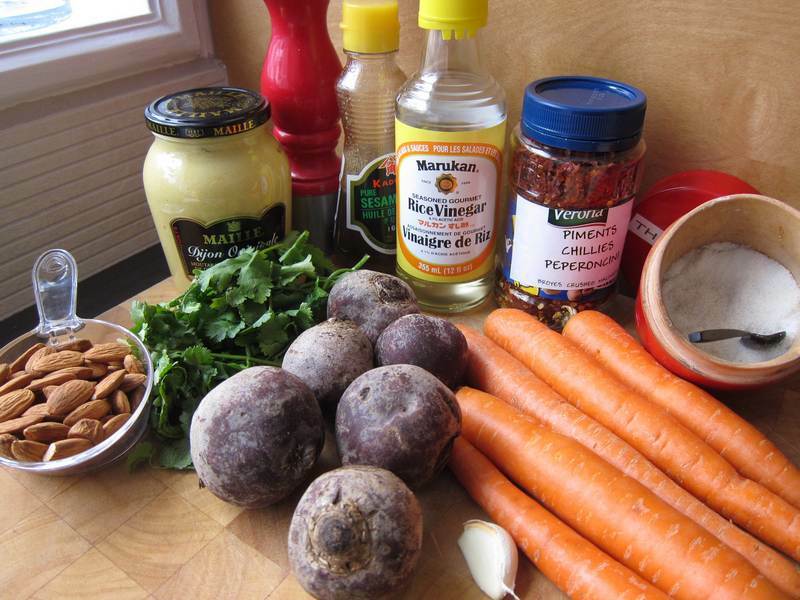 Too funny, I didn’t expect to be in your next recipe review. Anyway now you’ve really made coconut Sherrie famous with here coconut harvesting going on. Lots of love and aloha and I had fun with you all, thanks for coming over and many blessings to you and your family. Sherrie with a coconut on top. Thanks for making our trip really special, just by being you! It was wonderful meeting you and seeing the exciting life you lead. I would like to propose the link exchange deal with your website jitterycook.com, for mutual benefit in getting more traffic and improve search engine’s ranking, absolutely no money involve. We will link to you from our Fashion and Personal blogging authority site – https://www.souledamerican.com/, from its homepage’s sidebar. In return you will agree to do the same to link back to one of our Music & Entertainment Site, from your jitterycook.com’s homepage too (sidebar, footer, or anywhere on your homepage), with our brand name Harajuku Fever. We will link to you from our Fashion and Women authority site – https://www.souledamerican.com/, from its homepage’s sidebar. In return you will agree to do the same to link back to one of our client site, from your jitterycook.com’s homepage too (sidebar, footer, or anywhere on your homepage), with our brand name Harajuku Fever.